"I don't think she's giving you the silent treatment. 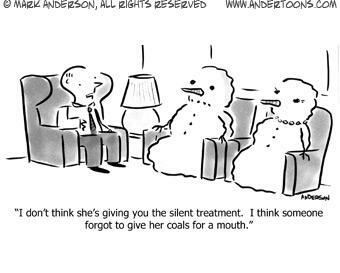 I think someone forgot to give coals for a mouth." forgot to give coals for a mouth."